Last Friday we launched another freebie Friday on instagram. 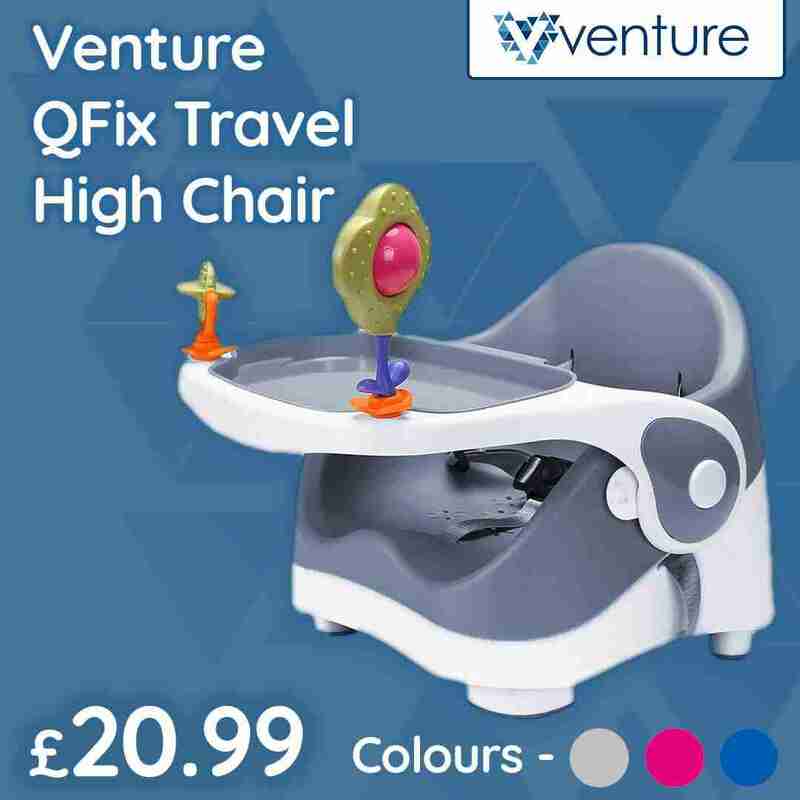 This week we are giving away a Venture Q-fix travel booster chair worth £29.99! This compact and practical piece of equipment will help baby join you at the dinner table wherever you are. The carry strap make it convenient to move around with you and the versatility will allow this product to grow with your baby into toddlerhood with adjustable legs and removable tray. We had an absolutely incredible response this week with over 420 comments! We would like to say a huge thank you to everyone that entered. The winner this week is “jennakatekelly” Congratulations! We will send you a message shortly to arrange claiming your prize. Don’t forget that we still have our Venture First Steps Baby Walker on offer for just £19.99 and FREE UK DELIVERY. No code necessary. Thanks again and we hope to see you again for another freebie Friday!